BECK'S CREEK TALL GRASS BLACKLAND PRAIRIE AND 3 FRESHWATER SPRINGS IS THE LAST STAND OF OLD GROWTH TALL GRASS BLACKLAND PRAIRIE IN THE CITY OF RICHARDSON, TEXAS. ONLY 0.1% OF THE BLACKLAND PRAIRIE REMAINS IN TEXAS AND THE TALL GRASS PRAIRIE AND SPRINGS SHOULD BE PRESERVED AS A NATURE CENTER AND OUTDOOR CLASSROOM FOR CHILDREN. COLLIN COUNTY OPEN SPACE FUNDS CAN BE USED TO FUND 50% OF THE PURCHASE PRICES AND TEXAS PARKS AND WILDLIFE DEPARTMENT PARK LAND FUNDS THE OTHER 50%. 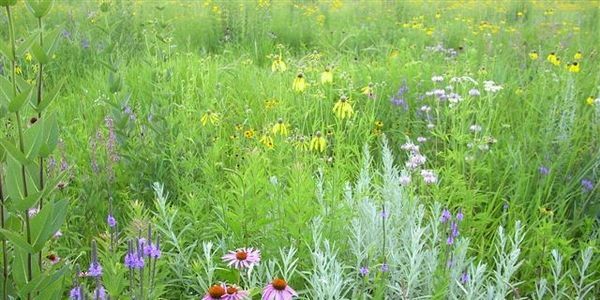 THERE ARE ALSO OTHER FEDERAL, STATE AND PRIVATE GRANTS AVAILABLE TO PRESERVE THE PRAIRIE FOR EDUCATIONAL AN NATURE OPEN SPACE PURPOSES. THE SEED FROM THE ANNUAL CUTTING TO MAINTAIN THE PRAIRE CAN BE ENDLESSLY AND PRICELESSLY USED TO RECLAIM BROWNFIELDS AND RE-ESTABLISH NATIVE TEXAS PRAIRIE IN OTHER OPENS SPACE AREAS REPLACING INVASIVE EXOTIC WATER WASTING PLANTS. AT LEAST 2 ENDANGERED NATIVE TEXAS PLANT SPECIES ARE ON THE PRAIRIE PARTICULARLY TEXAS TRAILING PHLOX. Please help us preserve a prairie and an outdoor classroom for children as a nature preserve. Please consider helping us protect the last remnant of Blackland Prairie & Springs in their natural condition in the city of Richardson, Texas by liking our page and contacting the city council persons and mayor before 4/28/14. Thanks so much for supporting the prairie and springs. The Blackland Prairie and its Wildlife.